'...Ayittey's bitter reading is an appropriate first therapy to the malaise American policies have helped to breed.' Wall Street Journal 'Ayittey is unpredictable - and provocative. 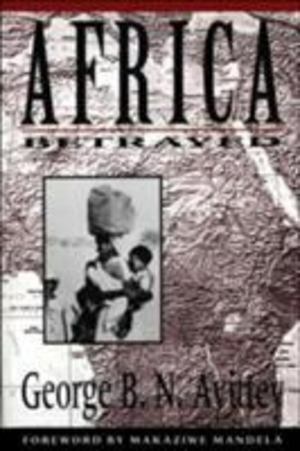 I was prepared to hate Africa Betrayed, but found myself engrossed.' Village Voice Africans are angry. Thirty years of independence have brought nothing but economic misery, famine, senseless civil wars, wanton destruction, flagrant violations of human rights, and brutal repression. At independence from colonial rule, Africans had hoped for liberty, prosperity, and a new beginning. They have been cruelly disappointed. Ayittey writes devastatingly on the horrors of black neocolonialism, arguing that it is just not good enough for commentators always to blame external factors for Africa's misery. Ayittey sees a second liberation struggle building up throughout the continent - one that will sweep away the kleptocracy and rediscover the African traditions that have endured throughout the horrors of both white colonialism and black neocolonialism.